Puzzle-based game of intersecting lines. Is there a better alternative to Tangle? Is Tangle really the best app in Puzzle category? Will Tangle work good on macOS 10.13.4? Tangle is a new addictive puzzle-based game of intersecting lines. Tangle is a unique puzzle game that dares the player to untangle a mess of balls and lines. 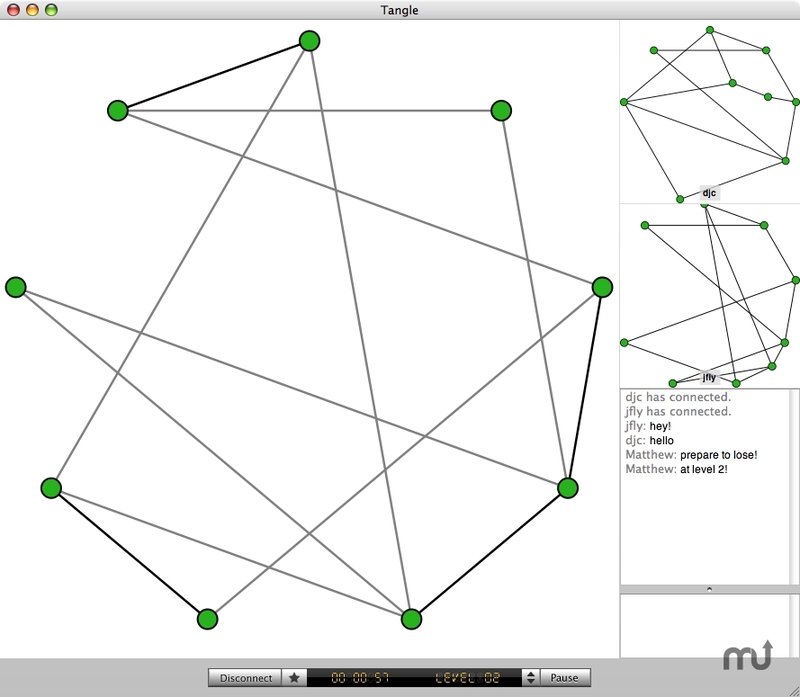 Tangle starts simple but increasingly challenges your spatial thinking as the levels progress. Featuring an Internet Leaderboard you can compete against your best times or against others around the globe. After honing your skills you can take on your friends head to head for fast paced action using Network Multiplayer. Online Leaderboard - challenge the world. Leaderboard Badge - show off your fastest times around the web. Multiplayer - challenge your friends. Version 1.1.2: Game Codes to allow players to repeat and practice levels. Bug Fixes. Tangle needs a rating. Be the first to rate this app and get the discussion started! Normal and Expert modes. Expert mode levels are much tougher.